Knuffle Bunny goes international! 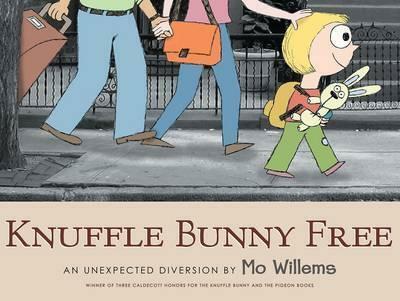 The hilarious and touching final instalment in the Knuffle Bunny series from bestselling, award-winning author Mo Willems. Trixie is growing up! Knuffle Bunny and Trixie are going on a very exciting holiday abroad to visit "Oma" and "Opa" in Holland. But when they finally get there, Trixie can't find her best friend Knuffle Bunny anywhere! With the absence of her beloved fluffy friend, everyone tries their best to help Trixie enjoy the rest of her holiday. Soon, she realizes that maybe she doesn't need Knuffle Bunny as much as she thought she did. In fact ... maybe it's time to set Knuffle Bunny free! An emotional tribute to the Trixie and Knuffle Bunny saga that parents and children will come back to time and time again.